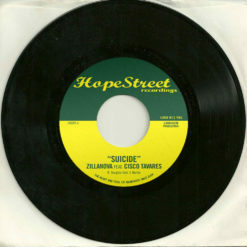 Three years after their first 7-inch release, Melbourne’s most elusive soul project Zillanova step out of the shadows with The Fader, a darkly sensual cut featuring a true revelation – the voice of Joshua Tavares. Bringing to mind both Donny and Marvin, Zillanova’s frontman is the youngest son of a singing family, his brother Cisco a luminary of soul music in Australia, and his uncles the voices of Tavares, undisputed gods of 70s Disco. This song is not disco though. 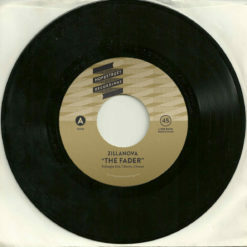 The Fader is a dark horse, riding a dark and funky pocket with a Latin tinge and shades of gospel. It’s a bit 70’s and a bit now – equal parts What’s Going On and Alabama Shakes. Lyrically, The Fader is an ode to departed loved ones and their ongoing presence in our lives. The chorus, ”we all fade away” is a reminder of our own mortality.